The award-winning teaser poster for the inaugural North Dakota Human Rights Film Festival. Featuring the entire text of the Universal Declaration of Human Rights, the poster received top honors from the American Advertising Association with the award of a Gold Addy. 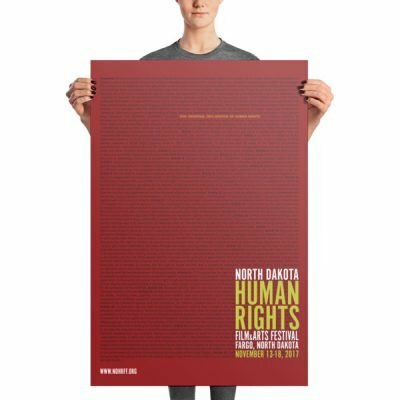 The teaser poster for the 2018 North Dakota Human Rights Film Festival. 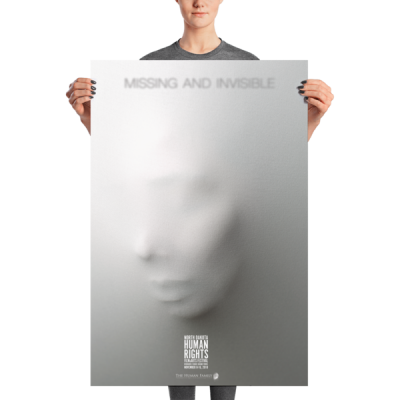 Featuring a face hidden behind cloth the poster embodies the invisible and the forgotten, themes central to many of the films in the festival. A haunting image, the poster encapsulates the oppression felt by those denied their human rights. 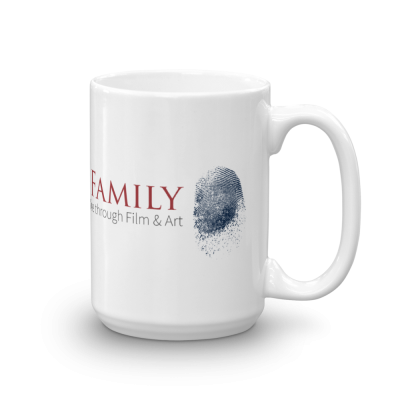 A sturdy, solid mug for your morning coffee, evening tea or something in between. it’s sturdy and glossy with a vivid print that’ll withstand the microwave and dishwasher. Available in two sizes – 11oz or 15oz.